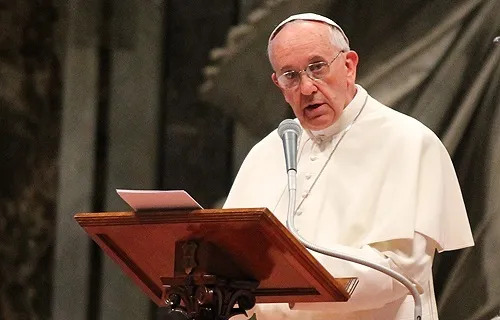 VATICAN CITY, May 12, 2015 -- In his meeting on Saturday with the bishops from Mozambique, a southeast African nation, Pope Francis urged support for public policies that promote the family and protect human life. VATICAN CITY, May 12, 2015 -- Speaking from retirement, Benedict XVI has underscored the need for the Church to extend its pastoral care to non-believers and to share “the questions of the times” in its continuing efforts to announce the gospel to the world. It is the premier events that brings Catholics together in Washington from around the country. It will be held on May 7, 2015. Learn about it. 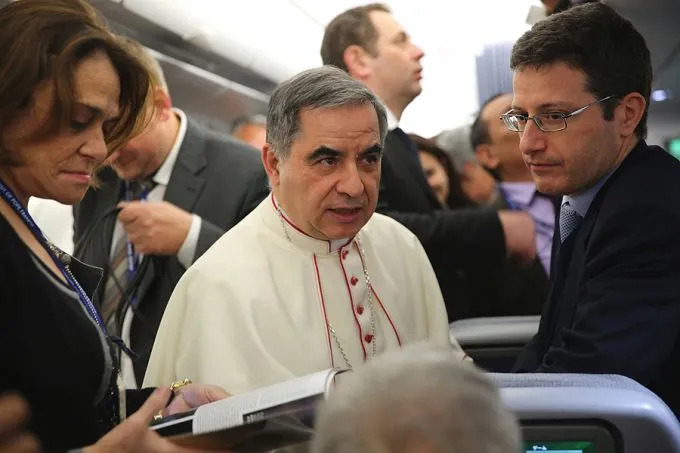 VATICAN, January 29, 2015 --“There is not a single day when Pope Francis doesn’t call us to go out to share our faith,” were the decisive words addressed to European delegates in the Vatican recently, meeting to identify effective ways to pass on the Catholic Faith. 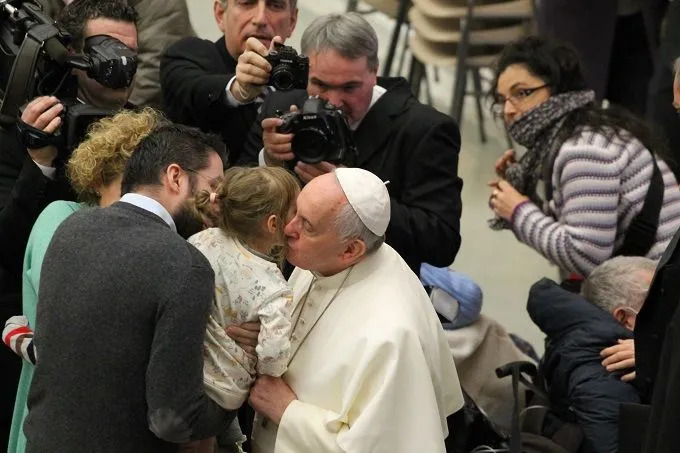 VATICAN, January 28, 2015 -- In his general audience catechesis, Pope Francis turned to the role of fathers, saying that they play an irreplaceable role in family life, and their absence leaves children prey to false idols. VATICAN, January 23, 2015 -- In investigating the validity of a marriage, ecclesial judges should consider whether the decision to marry was made in the context of values and faith, Pope Francis said on Friday. VATICAN, January 23, 2015 -- Pope Francis said that confessing our sins isn't a “mechanical” procedure like getting a stained removed but rather a joyful embrace from God, who forgives everything from a heart that's repentant. VATICAN, January 24, 2015 -- Pope Francis told a group of religious men and women that they are the forerunners in working towards Christian unity, which is something that first requires personal conversion, holiness and prayer. VATICAN, January 24, 2015 -- Pope Francis was surprised that his words on responsible parenthood were not widely taken in the sense that he intended them, a Vatican official related in an interview on Thursday. EWTN, the Apostolate for Family Consecration, and Catholics for the Common Good Institute have partnered with a six-part mini-series, Evangelizing the Culture for Marriage and Family that begins January 12 on EWTN. 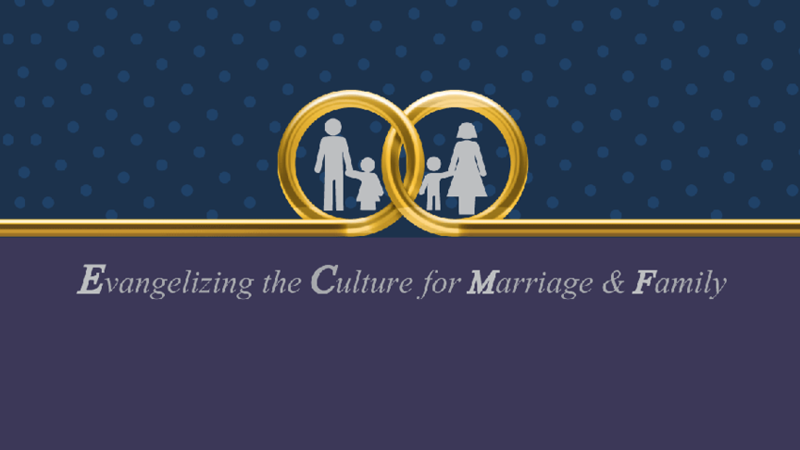 It marks the commencement of a new “Marriage Reality Movement” (TakeBackMarriage.org). ABOARD PAPAL PLAN, January 19, 2015 -- Pope Francis backed Blessed Paul VI's teaching against birth control and urged openness to life, but reminded couples that “responsible parenthood” does not require them “to be like rabbits” in order to be good Catholics.